Lost in Space was a science fiction TV series created and produced by Irwin Allen, filmed by 20th Century Fox Television, and broadcast on CBS. 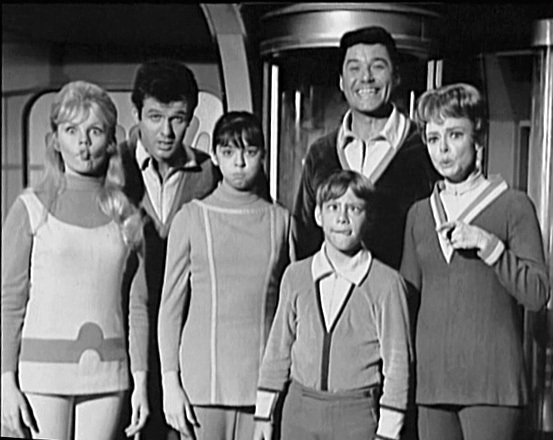 The show ran for three seasons, with 83 episodes airing between September 15, 1965, and March 6, 1968 (the unaired pilot “No Place To Hide” and the 1998 reunion “Lost In Space Forever” bring the total number of episodes to 85). Their first TV season was filmed in black and white, but the rest were filmed in color. In 1998, a Lost in Space movie, based on the TV series, was released. 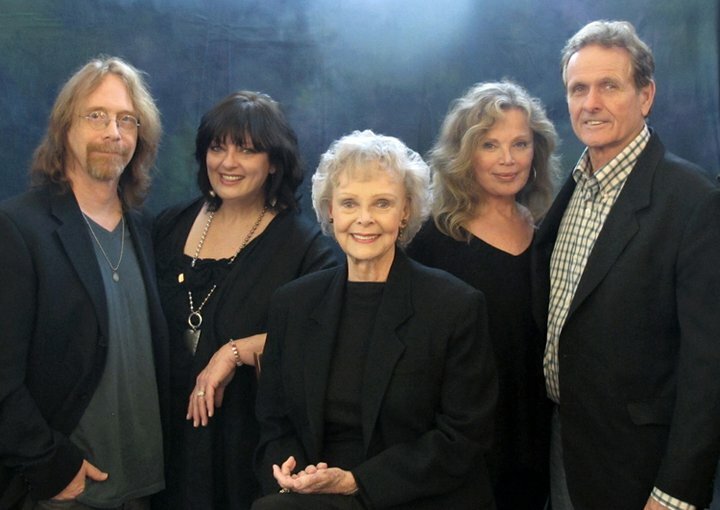 The cast members: Angela Cartwright, Mark Goddard, Marta Kristen, Bob May (Robot), Jonathan Harris, June Lockhart, Guy Williams & Billy Mumy. I vividly recall when this show first aired. I was an instant fan! Bought all the model kits, comic books and other merchandise, gazed with lust & awe at Marta Kristen every episode and even when the show went ‘camp’ and I knew back then it had turned to crap, I still watched because it was science fiction, had that cool Robot and, oh yeah, Marta Kristen! The bottom photo was taken earlier this year at the 2011 Hollywood Show in California wth the remaining cast members. Girls used to always like to play dress up and I imagine they still do (no granddaughters, all of my grandchildren have outdoor plumbing) but these two photos, from ‘yesterday’ & ‘today’, sure tell the story of how times have changed since my ‘back in the day’. 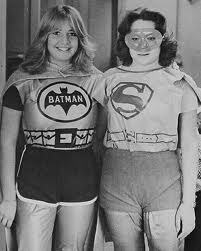 I’m guessing the ‘yesterday’ Batgirl & Supergirl is from the mid-1960’s. Yes, times have changed! You are currently browsing the archives for the THEN & NOW category.